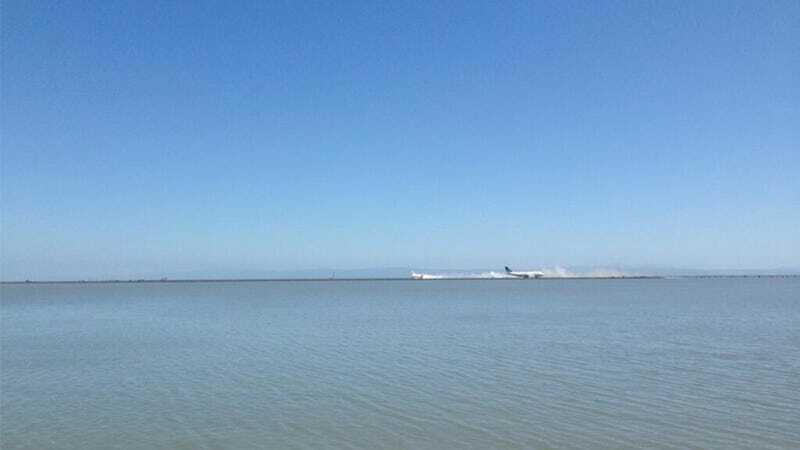 This unverified photo from Twitter user @stefanielaine appears to show the Asiana Airlines Flight 214 crash at San Francisco International Airport. Of course, we'll update you as we get more information. UPDATE: Stefanielaine, real name Stefanie Turner, said that it came in at a bad angle, "rolled multiple times," and then broke apart. UPDATE #3: Two people are dead and 61 are injured out of 291 passengers on the flight, according to the San Francisco Fire Department.